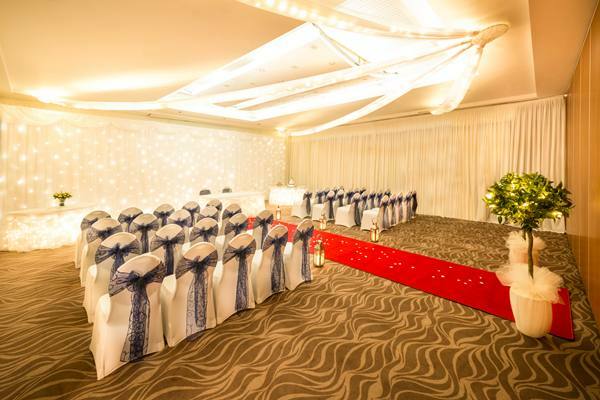 Copthorne Hotel Merry Hill weddings, view this stunning wedding venue in Dudley, including photos, wedding offers, reviews and video. 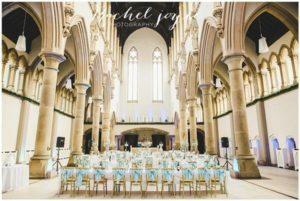 Still looking for the perfect wedding venue for 2019? 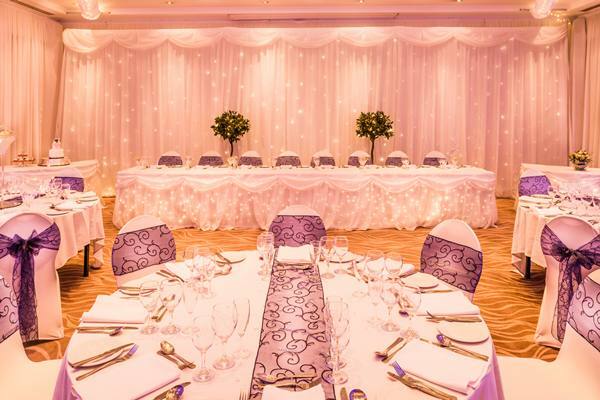 Let Copthorne Hotel Merry Hill host your special day. 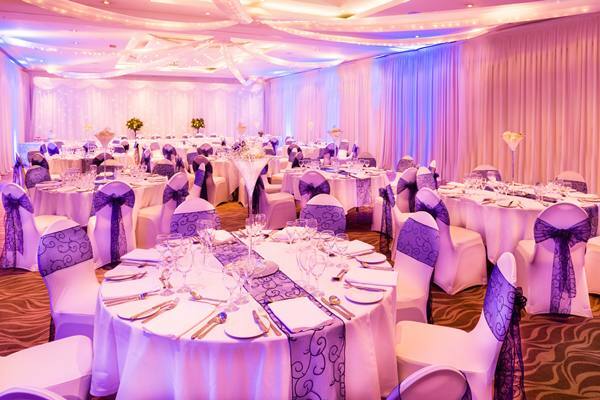 Situated on the prestigious Waterfront complex, our four star hotel boasts an excellent reputation for hosting dream weddings. Our dedicated and professional team will be on hand throughout the planning process to ensure that you have a day to remember. 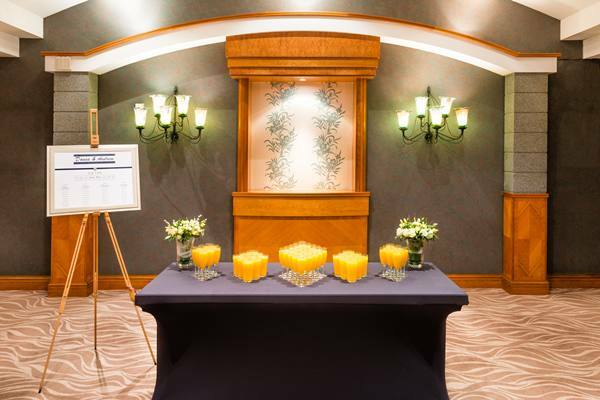 With a choice of three function suites for your celebrations, we have the capacity for events from two to four hundred of your guests and with 138 luxury bedrooms, your guests can relax and enjoy your special day with us. 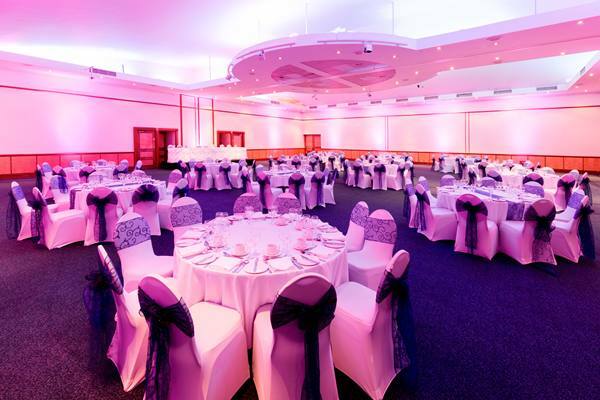 The Earls Suite is the largest event suite in the hotel seating up to 350 of your guests for a wedding breakfast and up to 400 for an evening reception. 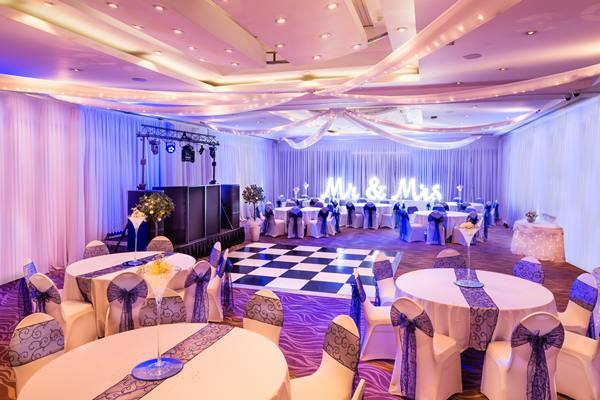 The Earls Suite can be subdivided to cater for smaller weddings and features neutral decoration, allowing you to theme the room in any way you desire. 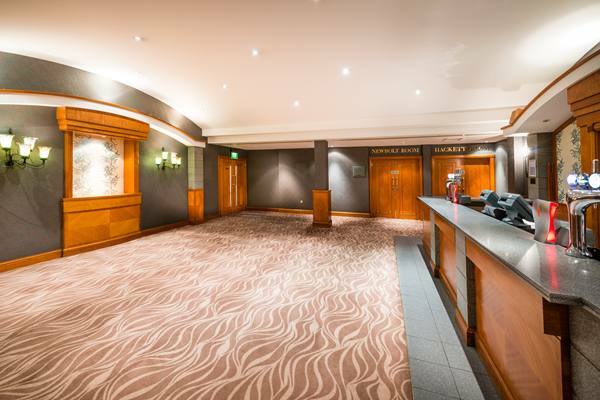 The Caslon Suite caters for the smaller celebration and again, sub-divides into two rooms; The Hackett Suite and the Newbolt Suite, with each side seating up to 60 for your meal and with a total capacity of up to 180 for an evening event. 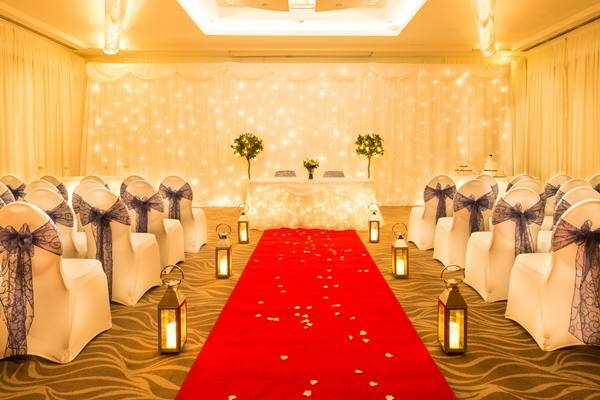 The Earls and Caslon Suites are both licensed to hold civil ceremonies. Faradays Restaurant caters for the more intimate wedding, seating 40 guests for a wedding breakfast and 100 for an evening reception. The restaurant benefits from panoramic views over the picturesque waterfront marina. 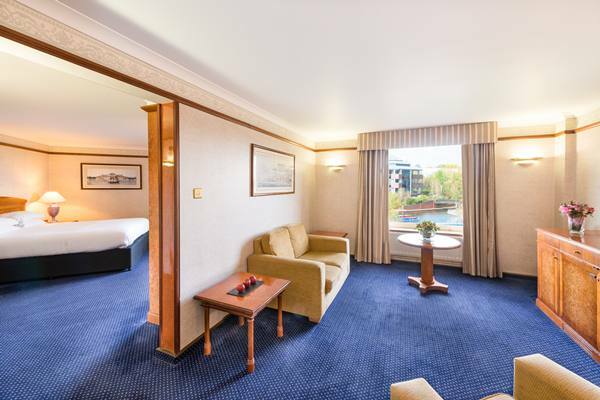 Hotel accommodation offers guests spacious and elegantly furnished rooms. The traditional decor of natural wood and pastel shades enhance and compliment each room providing guests with a soothing atmosphere. Book our “Forever After Package” and receive 20% off for selected dates in 2019. All inclusive wedding packages available with great offers if you are looking to get married on a Sunday or midweek. As a thank you for booking with us all of our wedding couples will receive a complimentary gym membership and first anniversary meal. "Me and George can't thank you and the team enough. The day was brilliant the staff were lovely and everyone has commented on how brilliant the staff were. The room looked amazing the food was fantastic and the whole day was perfect thank you for your hard work. Many thanks"
"It was an absolutely amazing day. We had so many people comment on how 'posh' it was. That was so lovely for us to hear. We were both delighted with everything everyone did for us at the hotel. Paul was amazing. Everything went so smoothly and looked so beautiful. He put us both at ease and having him there helped the day run smoothly. We can't thank you all enough. It literally was the best day of our lives. The food was beautiful and looked fantastic. The DJ had everyone dancing all night. Our room was so luxurious and comfy. We couldn't have wished for better. The bar staff looked after me and even made me a cup of tea, everyone on the team did us proud. 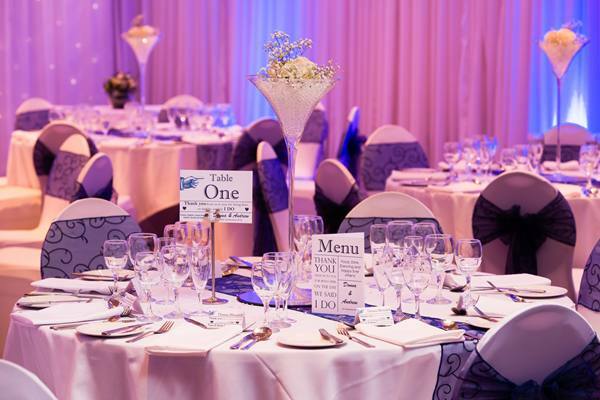 We enjoyed every second and are so pleased we chose the Copthorne to host our special day." "Had our wedding at the Copthorne on Saturday 18/08/18 and what a most perfect, amazing day it was! Everyone involved did an amazing job, all so professional, friendly & very helpful, so a big THANK YOU especially to the wedding team, Claire, for all the organising of things & keeping us up to date with everything & to Charlie, who made sure the day ran smoothly for us. Paul & bar staff, great job there too, thank you. Our DJ Danny (Paul James Promotions) lovely guy, brilliant, kept our guests on the dance floor all night & played some fab music. Back of house too, kitchen staff & chefs, thank you, food was delicious, everyone enjoyed their meals, well done. Cloud Nine for all the decorating of the rooms, absolutely beautiful & perfect, couldn't have looked any better so Thank you to Maxine & the team. Our room for the night too was lovely, very spacious, clean & comfortable. So Thank You so much to you all for making our day so special & perfect in every way, we all had an amazing time!" "Hi Claire, Just thought we would drop you a quick note to say a big thank you for everything last Saturday on our wedding day. We had an amazing day and everything went smoothly at the hotel. The staff were brilliant and can we also say a big thank you to the Master of Ceremonies (unfortunately we can't remember his name) who made us both feel so special and was constantly checking to see if everything was ok.
Can you also pass on our thanks to Cloud 9. The sweet cart was very popular and the Love letters looked fantastic on the dance floor." "Hi Claire/Pheobe, I have left a review on the hotels Facebook page but we would like to thank you both personally for everything. Where do I start...the reception staff when we checked in were amazing, our hotel rooms were superb and our meal and service at Faradays on the Friday night was excellent. Our wedding day was everything we wanted it to be, Ollie was brilliant and kept us all to time and nothing was too much trouble. The canapés and buffet were also excellent. We loved every second of it and all our guests commented on how lovely the hotel was. It really was perfect and most of that is down to you both making everything we wanted for the day happen. Thank you." "Hello Claire and Phoebe, Just want to say a massive thank you! Our wedding exceeded all our expectations and we had an amazing time! The room was brilliant, the food was lovely, DJ was fab, loads of our guests told us it was one of the best weddings they had ever been to, saying that it was really relaxed, and how much they had enjoyed themselves. Please convey our thanks to David and Charlie as the day ran like clockwork and nothing seemed too much trouble for them. Everyone I spoke to before the event who had hosted or been to one of your weddings spoke very positively about the experience and me and Stephen along with our guests will certainly do the same, so thank you!" "Just a quick note to let you know everything went wonderfully on Saturday! The staff were all lovely and the food was fabulous! Even the weather behaved! Thank you for all your help and please pass on our thanks to all involved. Everyone had a great time and we had many comments about the lovely atmosphere and food (both the wedding breakfast and the evening buffet). The DJ also was a pleasure to work with and played any requests made on the night as well as the general mix of music we had asked for. Thank you all!" 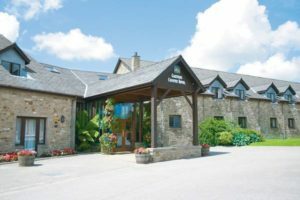 "Claire, On behalf of me And my New wife Rebecca we just wanted to thank the staff at the Copthorne for such a superb day and night ... Was truly amazing time we had throughly enjoyed by all . The master of ceremonies had everything run perfect couldn't of asked for a Better day." "Hi Claire, I just wanted to drop you a quick email before we leave on honeymoon to thank you and your staff that made our day absolutely fantastic....... Nothing was too much trouble... the room looked amazing..... the food was exceptional..... I could just go on and on...... AMAZING...... THANK YOU....."
Come along and be inspired by professional designers and suppliers in the midlands, giving you the opportunity to experience this season’s new and exciting ideas & trends.